I don’t want to dive into the politics here, but there is definitely consensus that the recent Trump victory shocked many analysts and pollsters. 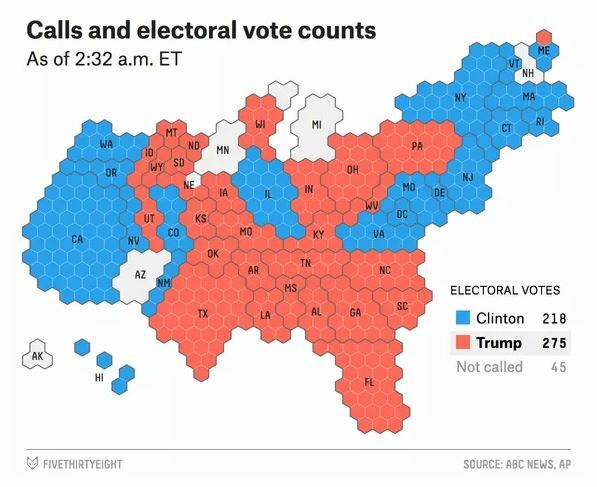 Out of that have come a slew of maps and statistical analyses showing how he won and some of them utilize interesting techniques to show what some were all missing/didn’t expect in the months leading up to the election. 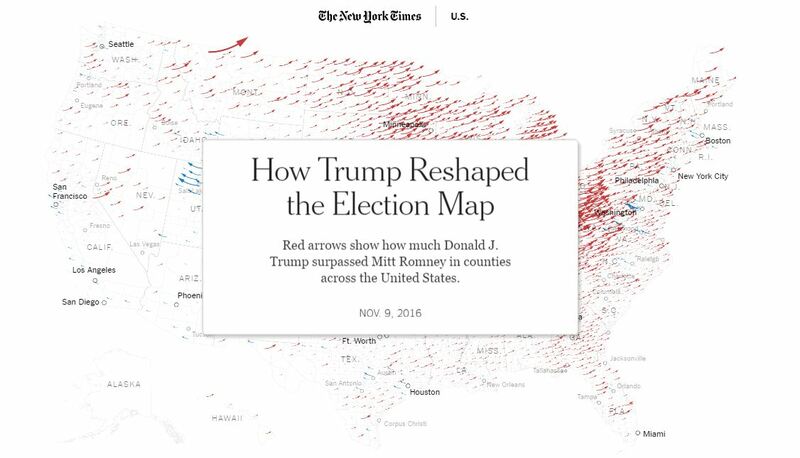 New York Times interactive scrolling map utilizing arrows of different sizes to show the difference in performance from Mitt Romney last election. It also calls out particular insights through scrolling.